Nestled amid a lush green tropical landscape and part of the Kaluakoi Resort, our luxurious Maunaloa vacation rental studio condo is a ground floor unit with unobstructed views of Kepuhi Beach and the island of Oahu across the Kaiwi Channel. Beautifully appointed, this splendid retreat is close to numerous recreational and entertainment venues which include superb golfing, pristine beaches, water sports and adventures and much more. 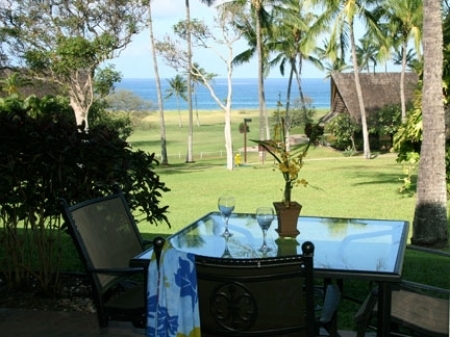 This vacation rental in Maunaloa, Hawaii can comfortably accommodate up to two discerning guests. The living area is open and has a king-size Murphy bed that can be pulled down easily to convert the area into a makeshift bedroom. 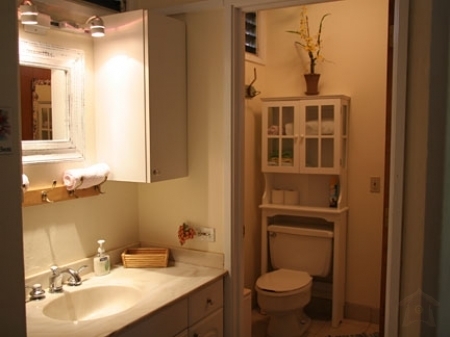 The bathroom is well appointed as per modern standards to add maximum comfort and convenience to your stay. There is a fully equipped kitchen to take care of your culinary requirements and superb barbequing provisions to host some sizzling cookouts. 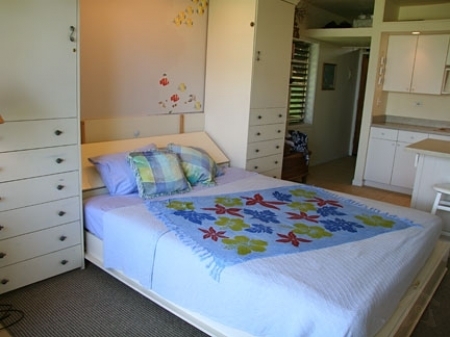 Our Maunaloa vacation studio condo is child friendly as well. 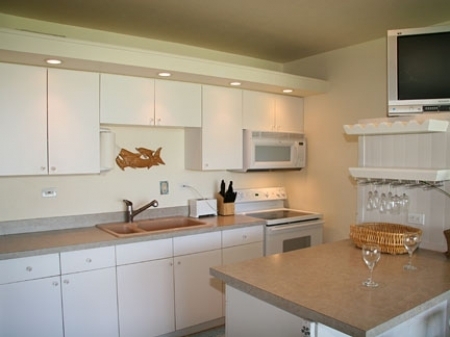 For your entertainment, our Maunaloa studio condo rental features a TV with cable, DVD and CD/Stereo players. To surf the web or check emails, wireless Internet access is also available. You can unwind in the private outdoor pool or simply retire in the lanai and soak up the splendid Hawaiian sun while sipping your favored brews. 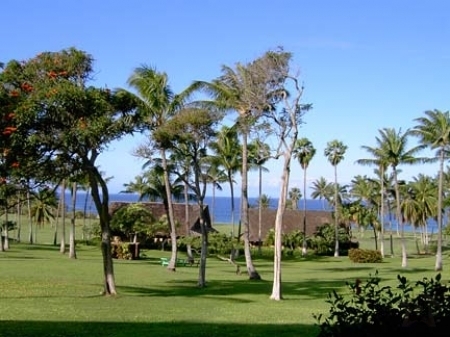 If golf is your passion, then staying at our Maunaloa studio condo near golf course will give you easy access to excellent golfing facilities and opportunities. You can also indulge in scuba diving or snorkeling, whale watching and many more leisure and adventure activities. There is a safe swimming beach nearby where you can enjoy the usual beach fun and activities. 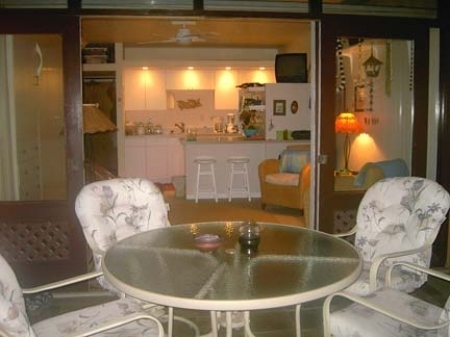 This Maunaloa studio condo near beach is an ideal base to experience a true sunny tropical Hawaiian holiday. 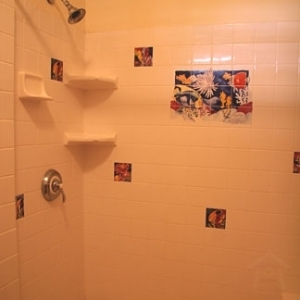 Add 11.42% Hawaii rental tax and $80 cleaning fee to all rates. 50% of the rental fee is due at the time of booking and the balance plus a $200 Security Deposit are due 30 days in advance. 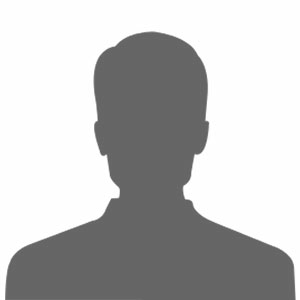 Cancellation Policy: Cancellations of a booking at any time after the confirmation has been issued will result in a forfeiture of 50% of the initial payment. Cancellations within 30 days of arrival will result in forfeiture of the full rental fee. Rules: No Smoking & No Pets.